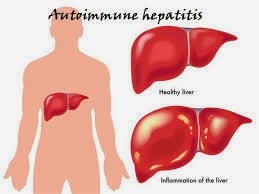 Autoimmune hepatitis affects the liver. Autoimmune hepatitis is classified as either type I or II. Type I is the most common form in North America. It occurs at any age and is more common among women than men. About half of those with type I have other autoimmune disorders, such as thyroidosis, Graves' disease, Sjögren's syndrome, autoimmune anemia, and ulcerative colitis. Type II autoimmune hepatitis is less common, typically affecting girls ages 2 to 14, although adults can have it too. 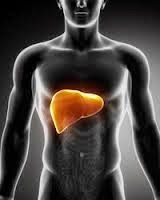 Autoimmune hepatitis occurs when the body's immune system, which ordinarily attacks viruses, bacteria and other pathogens, instead targets the liver. This attack on your liver can lead to chronic inflammation and serious damage to liver cells. Just why the body turns against itself is unclear, but researchers think autoimmune hepatitis could be caused by an interaction between several risk factors, such as infections, medications and a genetic predisposition. 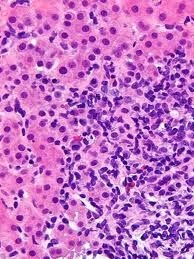 Type 2 autoimmune hepatitis. Although adults can develop type 2 autoimmune hepatitis, it's most common in young girls and often occurs with other autoimmune problems. Pernicious anemia. Associated with a number of autoimmune disorders, pernicious anemia occurs when a lack of vitamin B-12 interferes with your body's ability to form red blood cells. Autoimmune thyroiditis (Hashimoto's thyroiditis). In this condition, the immune system attacks the thyroid gland. Enlarged veins in your esophagus (esophageal varices). When circulation through the portal vein is blocked, blood may back up into other blood vessels, mainly those in your stomach and esophagus. The blood vessels are thin walled, and because they're filled with more blood than they're meant to carry, they're likely to bleed. Massive bleeding in the esophagus from these blood vessels is a life-threatening emergency that requires immediate medical care. A routine blood test for liver enzymes can help reveal a pattern typical of hepatitis, but further tests, especially for autoantibodies, are needed to diagnose autoimmune hepatitis. Antibodies are proteins made by the immune system to fight off bacteria and viruses. In autoimmune hepatitis, the immune system makes antinuclear antibodies (ANA), antibodies to smooth muscle cells (SMA), or liver and kidney microsomes (anti-LKM). The pattern and level of these antibodies help define the type of autoimmune hepatitis (type I or type II). A tiny sample of your liver tissue, examined under a microscope, can help your doctor accurately diagnose autoimmune hepatitis and tell how serious it is. You will go to a hospital or outpatient surgical facility for this procedure. Whatever type of autoimmune hepatitis you have, the goal of treatment is to slow or stop your body's immune system from attacking your liver. This may help slow the progression of the disease. Other immunosuppressants. 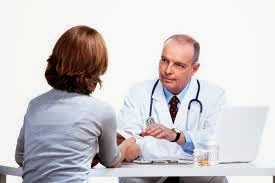 If you don't respond to prednisone or azathioprine, your doctor may prescribe stronger immunosuppressants, such as mycophenolate (CellCept), cyclosporine (Neoral, Sandimmune, others) or tacrolimus (Prograf). When medications don't halt the progress of the disease, or you develop irreversible scarring (cirrhosis) or liver failure, the remaining option is a liver transplant.